Dog Not Eating and Throwing Up? The dog not eating and throwing up? What's wrong with your pooch? What's wrong with your little puppy? What's happening to your old canine? Let's talk about dog eating habits, dog feeding and related eating and food issues. If you notice that he is leaving a significant amount of his daily food in his bowl that you may want to pay closer attention so that you can let your vet know exactly what has changed in your dog’s eating patterns. Watch and learn those dog food eating patterns! Is the fact your dog is not eating because he is sick or that he is just not hungry? If you have children you will need to watch them at the dinner table or at other times during the day to make sure that they are not slipping your dog extra treats during the day or food from the dinner table. The dog not eating and throwing up could be from your kids. One of the most important things to remember when working with a dog that is not eating and throwing up is to find out what they have recently been eating. Many times a dog not eating and throwing up is the result of something they ate that was not in their normal diet. 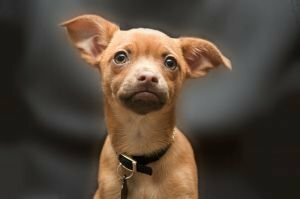 Did your dog get into the trash and eat something they should not have? Our dog Shaggy is a Bouvier and we had maintained a steady diet of Iams Large Dog Food along with water and a few treats for his teeth now and then. If Shaggy would wander off when we were not looking he had a tendency to find something wild in the woods to eat and would end up throwing up and having diarrhea for a couple of days. We would make sure he stayed on his tether and would give him Immodium for the diarrhea and he would be fine in a couple of days. The first time it happened we took him to the vet because the dog was not eating and throwing up along with bad diarrhea. We told the vet that Shaggy had gotten off his leash and had run through the woods and had come back soaked because he had gotten in the stream behind our house. We did not know if he had eaten anything but we knew he had drunk from the stream. The stream was had run off from farmer’s fields in it and so it had a high concentration of E. coli bacteria that the vet said could easily cause the vomiting. He prescribed an antibiotic and Immodium for the diarrhea and said that if his appetite did not return in 48 hours to bring him back. That's what saved our dog. Talk to your vet if you see similar eating issues. Dog Not Eating Food? -- "A dog not eating food can be a minor issue or a serious problem. This article explores dog behavior problems, dogs eating too much, and dogs not eating." How to Give Your Pet a Pill -- "If you need to know how to give your pet a pill, this is the article you need. Methods for giving pills to dogs and cats are provided, as well as a series of extra tips." Pet Food Dish -- "If you are investing in a new pet food dish or water bowl, this is a great place to start. This article explains your options. We cover all the angles." The dog not eating information provided on this site is for informational purposes only and is not intended as a substitute for advice from your veterinarian or other health care professional. You should not use the information on this site for diagnosis or treatment of any health problem or for prescription of any medication or other treatment.